Longer tiered raised bed kit. Perfect for seniors and adult/child garden. FREE SHIPPING. When you order two kits of your choice shipping is free. One kit shipping fee is $89. ADDITIONAL DISCOUNTS AVAILABLE. Purchase (3) kits for a 10% discount and (2) drip irrigation Ollas pots as a gift. (4) kits wins a 12% discount. (5) kits gets you 15% off, (2) Ollas pots, and a lifetime quality Radius garden tool. For quantities larger than five GreenBed kits see our Request A Quote form. 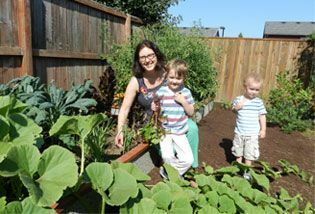 We also offer discounts for community gardens and other non-profit organizations. 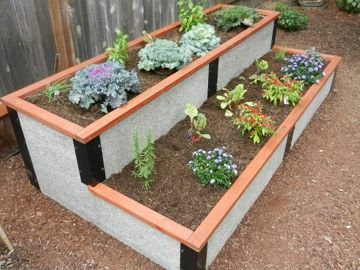 The 4×8 Tiered elevated garden bed is perfect for that part of your garden where you need an extra measure of pizazz. Artistically plant this bed and it will become a focal point in your yard. Also works for a parent child garden. Top tier for the parent, bottom lower tier for the child. 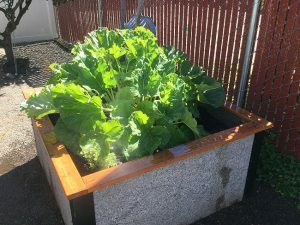 Durable GreenBeds offer the gardener a green elevated garden solution that is made from a 100% nontoxic woodchip/concrete composite that will last for 25 years or more. They are an attractive choice that are quick and easy to assemble, and are certified to perform in all kinds of weather & climate conditions. Pre-drilled & Finished Western Red Cedar Top Trim. QUICK AND EASY ASSEMBLY. The 4×8 Tiered kit approximately 1.5 hours to set up (not including site preparation). All that you need is a level site, a hammer and a cordless drill with a ¼” nut driver and Phillips head, a level, and a socket wrench with a ¼” socket. BEAUTIFUL. GreenBeds can go anywhere in your outdoor space — on your wooden porch, tile or concrete patio, the grass in your backyard or even in the front yard. 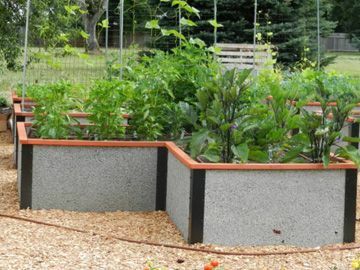 Durable GreenBed Kits offer ENDLESS DESIGN OPTIONS and can be joined together in custom layouts. FREE SHIPPING: For shipping purposes, a minimum of 2 kits are required for all orders. You can mix or match kits to reach the 2 kit minimum. ADDITIONAL DISCOUNT: Buy 3 GreenBed kits you get another 10% off (shown at checkout). For quantities larger than (5) GreenBed kits go to “Request A Quote” form it located at the bottom of each page. When you order 2 or more raised bed kits. 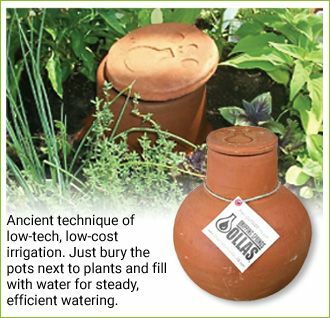 Get 2 FREE Olla watering pots. They grow skills, ideas, friendships and, well, community! Durable GreenBed Kits are a perfect long-term raised-bed solution. Product DetailsPerfect size raised bed for small yards or patios. Great for kitchen gardens. 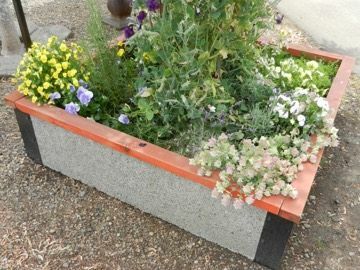 Product DetailsBend-free gardening is a highlight of the 2-foot tall rectangular raised bed. 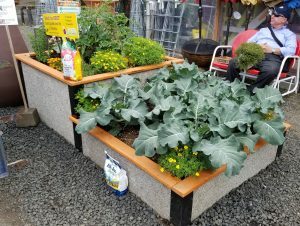 Product DetailsStep-it-up with a new raised bed kit. Grow your favorite herbs, plants, & vegetables. 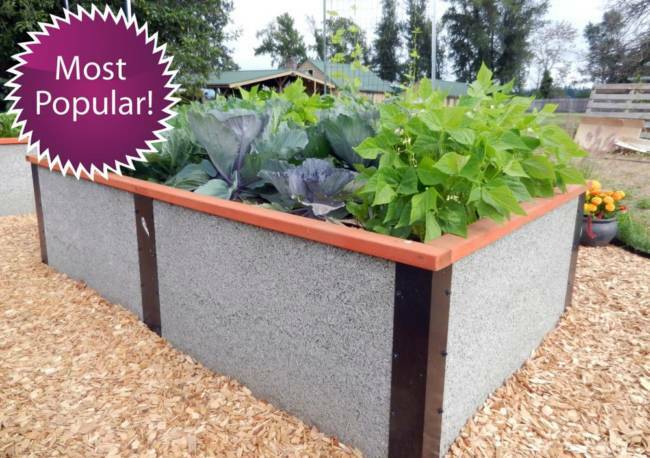 Product DetailsOur most stylish tiered raised garden kit for a great look and easy access. Product DetailsSmall space tall raised garden bed kit for maximum accessibility. Seniors love them. Product DetailsOur new L-shaped bed is perfect for all the corners of your yard or garden. Product DetailsWe’ve got corners! New! 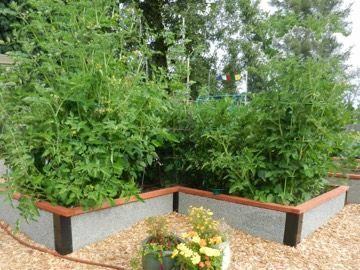 Taller L-shaped raised bed that reduces back strain. 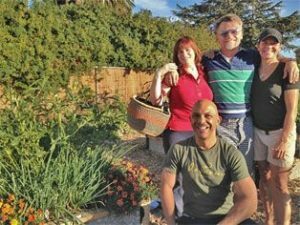 Durable GreenBed kits provide gardeners across the US with an easier and better gardening experience. 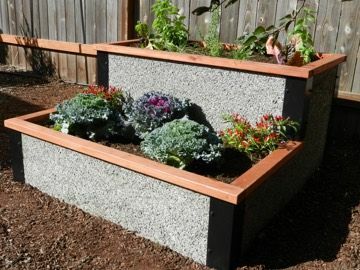 Our raised garden beds are perfectly aligned with the healthy-living and eco-friendly demands of our customers. Durable GreenBed is made and manufactured by Shelterworks, Ltd.
Shelterworks also manufactures and sells Faswall sustainable building blocks. The GreenBed material passed the ASTM C-666 300 cycle freeze-thaw test without cracking and breaking down.